We design, prototype, validate and manufacture high quality, high precision, assemblies and fabrications. Laser Profiling: Precision cutting of a wide range of materials up to 18mm in thickness. Punch Profiling: Latest precision Trumpf Trumatic punching technology including auto loading and unloading. Bending/Forming: Latest LVD Forming technology including bend measurement and crowning compensation technologies. Welding: MIG / TIG / ARC / CO2 Welding Conditions. Painting and Metal Finishing: Fully conveyorised Paint Plant with 5 stage Iron Phosphate pre-treatment system. On-line reciprocators with powder recovery and filtering system. Dry-off and curing ovens. Wide range of metal finishing disciplines offered (Sub-Contract Partnering). General Assembly: Full Assembly Solutions available, incorporating “outflow prevention” techniques. 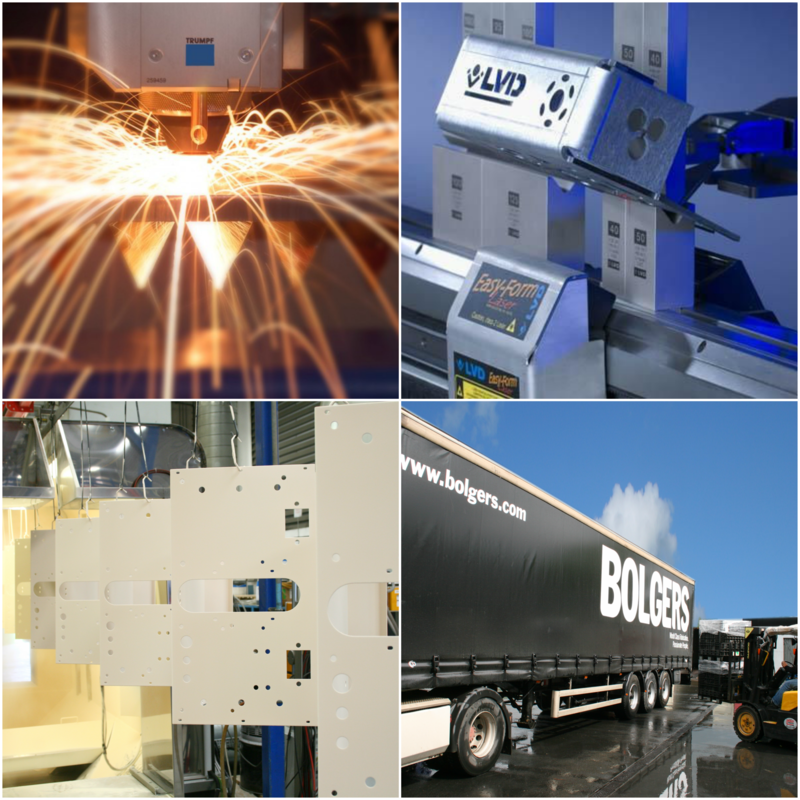 If you would like to discuss any of the above manufacturing service offerings with our sales team please call us on +353 (0) 61 362123 or contact us through email on info@bolgers.com.